“Patriotism,” Samuel Johnson said nearly 250 years ago, “is the last refuge of a scoundrel.” These days in India, the adage can be safely applied to nationalism. There is no other explanation of the threat to arrest and try Arundhati Roy on charges of sedition for what she said at a public meeting on Kashmir, where Syed Ali Geelani too spoke. I was not there at the meeting, but I have read her moving statement defending herself afterwards. I feel both proud and humbled by it. I am a psychologist and political analyst, handicapped by my vocation; I could not have put the case against censorship so starkly and elegantly. What she has said is simultaneously a plea for a more democratic India and a more humane future for Indians. Hence the bitterness and intolerance, not only towards Arundhati Roy, but also towards all other spoilsports who defy the mainstream imagination of India and its nationalism. Even Gandhians fighting for their cause non-violently are not spared. Himangshu Kumar’s ashram at Dantewada has been destroyed not by the Maoists but by the police. I would have thought that writers and artists would be exempt from censorship in an open society. The trend of harassing political dissenters for their “seditious” writings and actions started early. It started with the breakdown of consensus on national interest in the mid-’70s. Indira Gandhi imposed Emergency and introduced serious censorship and surveillance, she claimed, to protect national interest, democracy and development. (She had foresight, for though she included development in her list, it took another two decades for the consensus on development to break down.) The difference between the 1970s and the first decade of the 21st century is that millions are now acting out their dissent and speaking out of their radical differences with mainstream public opinion. The whole tribal movement—wrongly called the Naxal movement, because the Naxals have taken advantage of the tribal problem—is an example of this. There are times when a national consensus is neither possible nor desirable. The best one can do is to contain the violence and negotiate with those who act out their dissent. That may not be easy in the case of the Kashmiris because their trust in us is now close to zero. 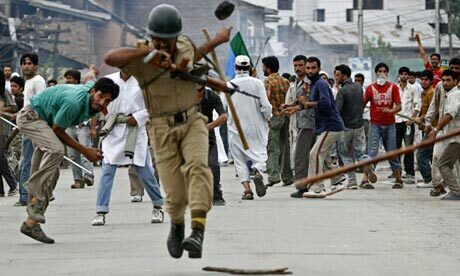 Psychologically speaking, the Kashmiris are already outside India and will remain there for at least two generations. The random killings, rapes, torture and the other innovative atrocities have brutalised their society and turned them into a traumatised lot. If you think this is too harsh, read between the lines of psychotherapist Shobhna Sonpar’s report on Kashmir. Recently, at a lecture organised by the Information Commission of India, I claimed that the future of censorship and surveillance in India was very bright. It’s not only the government that loves it but a very large section of middle-class India too would like to silence writers, artists, playwrights, scholars and thinkers they do not like. In their attempt to become a globalised middle class, they are willing to change their dress, food habits and language but not their love for censorship. We should thank our stars that there still are people in our midst—editors, political activists, NGOs, lawyers and judges—to whom freedom of speech is neither a value peripheral to the real concerns of Indian democracy nor a bourgeois virtue but a clue to our survival as a civilised society. * Ashis Nandy is an Indian political psychologist, a social theorist, and a contemporary cultural and political critic. A trained sociologist and clinical psychologist, his body of work covers a variety of topics, including public conscience, mass violence, and dialogues of civilizations. He was Senior Fellow and Director of the Centre for the Study of Developing Societies (CSDS) for several years. Today, he is a Senior Honorary Fellow at the institute and apart from being the Chairperson of the Committee for Cultural Choices and Global Futures, also in New Delhi. Appearing on the list of the 2008 list of the Top 100 Public Intellectuals Poll, Nandy had received the Fukuoka Asian Culture Prize in 2007. In 2008 he was listed as one of the top 100 public intellectuals of the world by the magazine, Foreign Policy, published by The Carnegie Endowment for International Peace.